Through my specialist training, I use The IVA technique. 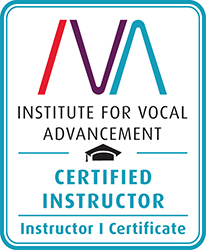 This is a vocal training which is based on 17th and 18th Century principles of singing developed by the Old Italian School of Singing. My goal is to train your voice to sing in a free and natural manner, smoothly, from the bottom of the range to the top with no breaks or sudden changes in quality. Training in this technique gives you access to all dynamics, with tonal clarity and flexibility. It also helps improve your range, endurance, stamina, breath control, resonance, vocal strength and vocal quality across all styles of music without fatigue or damage to the voice. I help you to accomplish these results by teaching you to find a balance between airflow and intrinsic muscular resistance, all within a resting laryngeal posture. The voice is largely considered a wind instrument as it is the air from the lungs that activates the vibration of adducted (closed) vocal folds creating sound. However, in terms of creating pitch it is much more like a stringed instrument in that pitch is created by stretching and thinning out the vocal folds in order to vibrate faster for higher pitches or shortening and thickening them to vibrate more slowly for lower pitches. There are intrinsic muscles in the larynx that control both the adduction of the folds for sound production and the stretching or shortening of the vocal folds for pitch. These muscles need to co-ordinate with each other in balance with the airflow to be to able to achieve a smooth transition through the difficult bridges or passaggi between the lower range of the voice and the upper range. It is this that our technique focuses on by creating ‘the mix’. There are also muscles in the neck and throat area that surround the larynx including muscles that raise the larynx for swallowing and lower the larynx for yawning. If we feel that high notes are strained it is because the swallowing muscles have been activated and we may hit a ceiling in our range or our sound and pronunciation is distorted. In a similar way activating the yawning muscles to impose the larynx can be strenuous. Thus these are muscles we eventually want to eliminate from the pitching process so that singing becomes free and easy. 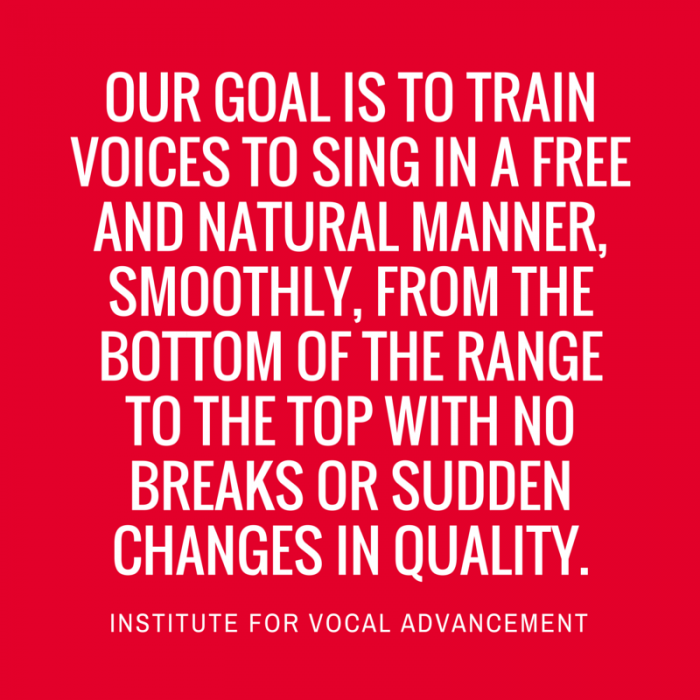 By using vocalise exercises we work directly on the co-ordination of the intrinsic muscles directly controlling the vocal folds so that the folds are able to resist the airflow in a balanced manner and vibrate freely for pitch. A result of this is that the outside muscles that raise the larynx for swallowing or lower the larynx for yawning are not required for the pitching process and thus no longer are activated so that the larynx can remain in a relaxed position. 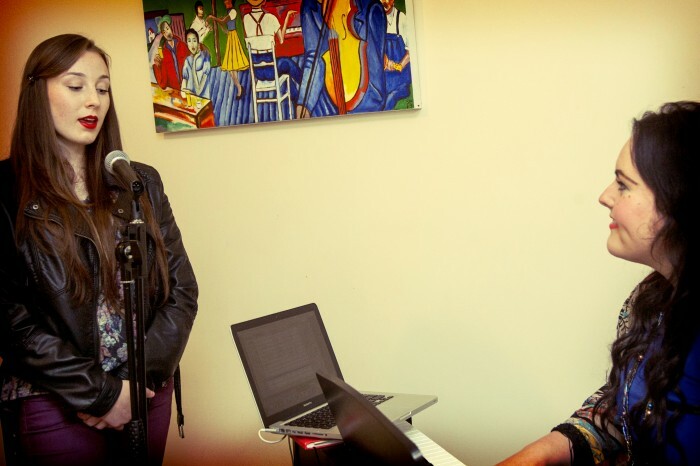 In this way the singer is able to sing from the lower part of their voice through to the upper part of their voice with a smooth connected tone without breaks or abrupt changes in voice quality and without effort and strain. The singer experiences increased range, control over pitching, dynamics, tone quality, increased flexibility and precision, power, breath control, freedom and clarity in articulation of lyrics, freedom of expression and stylistic choices and most importantly the voice keeps going for longer without getting tired.